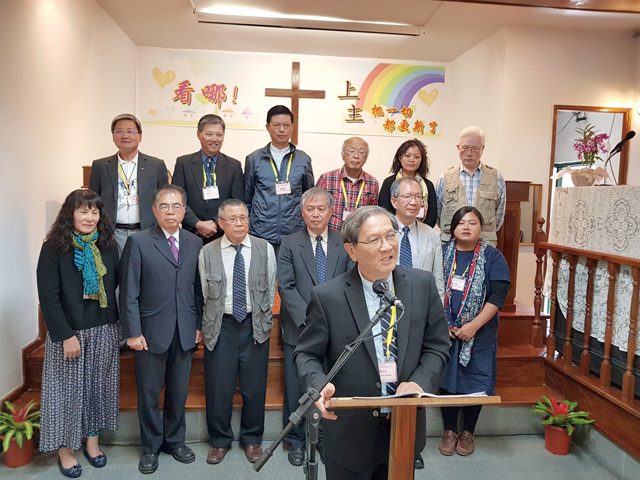 To give a pastoral care to overseas Taiwanese churches, an ecumenical teamwork led by PCT leaders paid their visit to St Paul, Brasil in early October and later attended the 13th General Assembly of World Alliance of Taiwanese Christian Churches(WATCC) at Buenos Aires, Argentina from October 12 to 15. During their staying at St Paul, PCT leaders not only visited seven local Taiwanese churches but also attended an united thanks-giving service commemorating the 55th anniversary of Taiwanese church mission in Brasil. In addition, PCT leaders also held a meeting with local pastors at seminário teológico Servo de Cristo and visit an evangelical children ministry cooperating with local Korean Presbyterian pastors. After such a learning journey at St Paul, PCT leaders were all deeply impressed and touched by those evangelical ministries passionately offered by overseas Taiwanese churches to serve Brasil society. From October 12 to 15, PCT leaders flied to Buenos Aires to attend the 13th WATCC General Assembly held at Iglesia Taiwanesa Presbiteriana Mu-I en la Argentina. 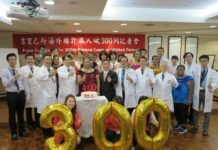 Founded in 1993 and across denominational boundary, WATCC is the only overseas Taiwanese Christian institute stipulating her general assembly shall be held every two year alternatively at Taiwan or any overseas country. 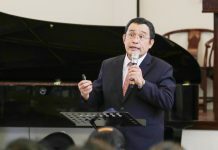 Witnessing the conference theme, entitled as “Society in change, gospel for ever, love never cease”, Rev Lyim Hong-tiong – PCT General Secretary – was elected as the chairman of 14th WATCC General Assembly to lead this overseas Taiwanese Christian Fellowship continuously to do justice, love kindness and walk humbly with God.